Hello sports fans! The water if warming up nicely with temps ranging to the mid to upper 60’s on most of the Brainerd Lakes area. We have been fishing a lot of different lakes in the area and in general all the fish seem to be cooperating. Brainerd Fishing ReportOn most of the lakes the panfish have wrapped up their spawn and have moved out to the cabbage that would be on average anywhere from 8-16 feet of water. Casting small plastics or slip bobbers with leeches or crappie minnows seem to be working best. The bass action has been fantastic! Most of the largemouth bass are hanging around the shoreline structures on weeds, lily pads, bull rushes, and around docks. Plastics have been the best but some top water grogs have worked early and late in the day when bass are in 2-7 feet of water. Brainerd Lakes AreaThe smallmouth bass action on Mille Lacs has been some of the best we have seen. I recommend everyone try fishing smallmouth at least once a year. As for northern pike and musky the pike action has been great. The bigger pike seem to be hanging on the weed lines and off the edges of the deep flats and will bite a lot of different baits from jigs and minnows to Shad Raps and white spinner baits. Musky’s are being caught in shallow water on smaller bass style baits. Walleye action has been steady with fish starting to move to deeper water. Fishing with chubs and leeches have been producing fish in 9-22 feet of water on Lindy Rigs and slip bobbers. 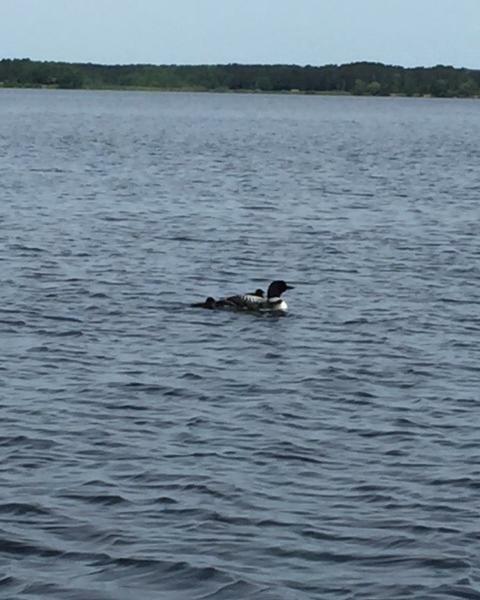 On the wildlife side – the loons have had their babies so use extra caution while running your boat and avoid getting too close. Best of all just get out on the water!